My name's Jan and this is my website all about Playa Flamenca in Spain. Register now for free to talk about Properties to rent: apartments, houses and villas in Playa Flamenca and much more! 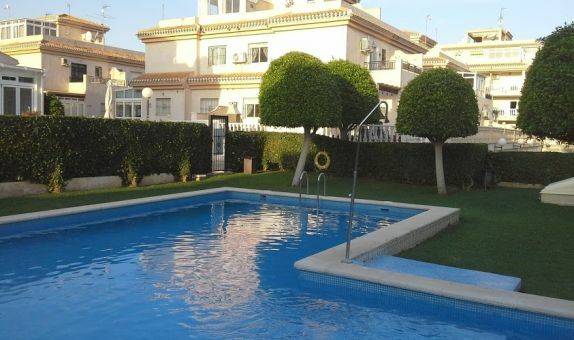 3 Bedroom Property available Playa Flamenca - La Florida Area. The main bedroom has a private solarium and a further solarium on the top floor, nice views and the sea can be seen! We are currently asking for 525 euros per month plus pay own bills and to keep garden maintained. Please can you advise whether this property would be available from Jan 2019 for a long term 12 month let. If so, would it be possible to send over some photos. Could you tell me please if this property is still available, and if so, would you allow us to bring our Golden Retriever to live there. Reconnections of water and electricity.